ALLEGRA BOVERMAN/Staff photo. Gloucester Daily Times. Gloucester: People gather at the Greely Funeral Home for a wake for Gloucester Police officer Aran Patrican on Tuesday afternoon. 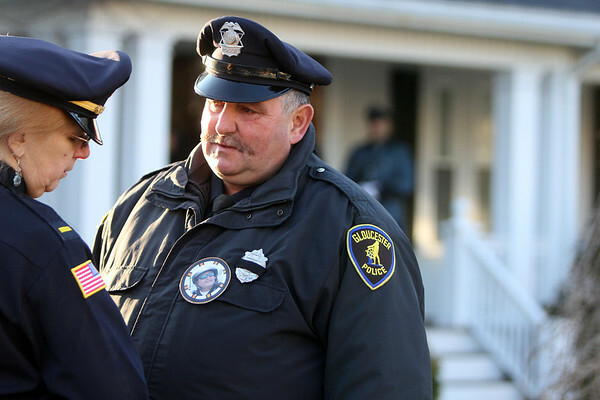 Lt. Kathy Auld, left, speaks with Patrolman Mark Foote.